(CBS/AP) Big soda bans may be spreading around the country. The mayor of Cambridge, Mass. has proposed limiting the size of soda and sugar-sweetened beverages sold in city restaurants, saying she was inspired by a similar measure in New York City. Mayor Henrietta Davis on Monday asked the city's health officials to research her proposal and make a recommendation on limiting beverage sizes. The city is adjacent to Boston and is home to Harvard and MIT. Davis cited an increased risk of obesity and diabetes as reasoning behind the resolution. "It seems like the way we have to go is look at the environment, look at the temptations that are out there for people," Mayor Davis told CBS WBZ NewsRadio 1030 in Boston. "See if that can be easier on all of us by not having bottomless pits of soda." 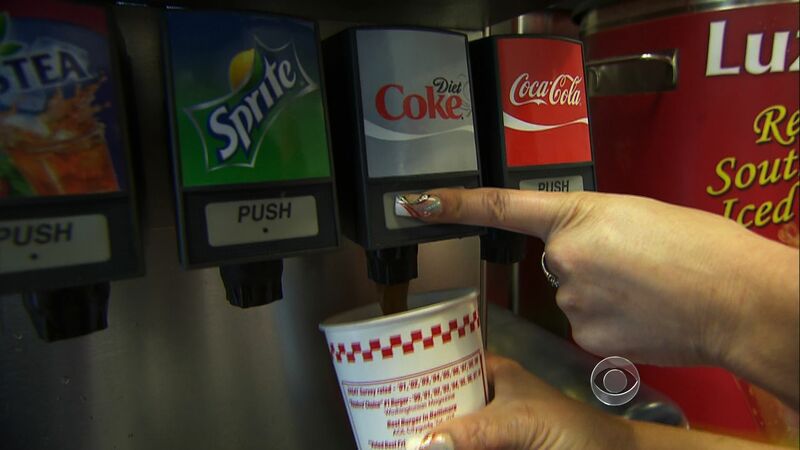 According to CBS Boston, specifics of the mayor's proposal have not been fleshed out yet, but she thinks it will be similar to the large soda ban currently being debated in New York City. In New York, Mayor Michael Bloomberg's proposalwould prohibit licensed food service establishments in the city from using containers bigger than 16 ounces to serve high-calorie drinks like colas. Consumers could buy another round, but restaurants couldn't serve sugary drinks in the 20-ounce cups now popular at fast food eateries. Davis also said regulation might not be necessary to prevent the sale of large-sized sugary beverages in Cambridge. She said city officials could pitch a voluntary compliance agreement to vendors or create an incentive program to encourage cooperation. Davis, who also is a chair of a Cambridge community coalition that focuses on children's health, said she's been hearing mixed reactions to her resolution. Don Puzy, the manager of a 7-Eleven in the city, on Tuesday called the mayor's proposal "absolutely crazy." He said he sells a lot of the store's signature Big Gulps, but said it's mostly grownups who buy them. "We appreciate her trying to do something about the kids, their weight, but that is not the way to go about it," Puzy said of the mayor's proposal. "There are a lot of programs for it ... starting from the schools ... Don't put it on the stores."